India recently set a national goal to end open defecation by 2019. To address the lack of toilets in the country, AMMACHI Labs is offering vocational courses in masonry, plumbing and life skills to village women so they can construct, install and maintain toilets. 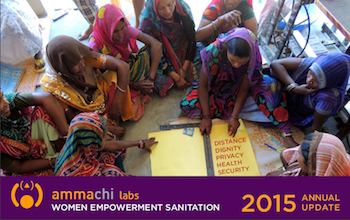 Our Community-Led Total Sanitation Approach is in 21 states accross India. Watch this great video which explains our solution to sanitation challenges in India. This update details the empowerment activities of AMMACHI Labs and champions of change who have inspired their villages to become ODF.